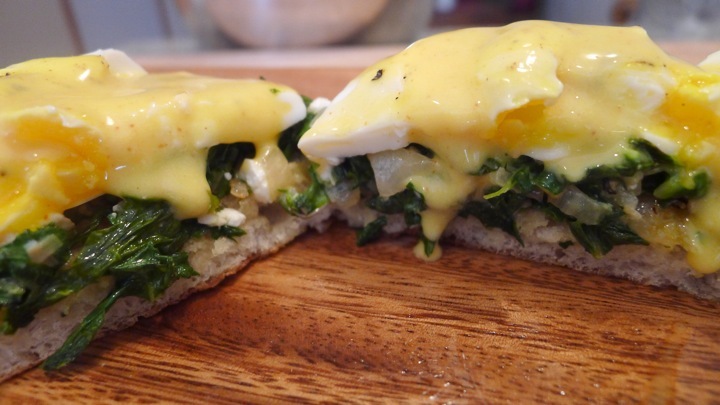 Eggs Florentine is one of my favorite breakfast items, so when I woke up to a cold rainy morning, I decided to stay in and make it at home! 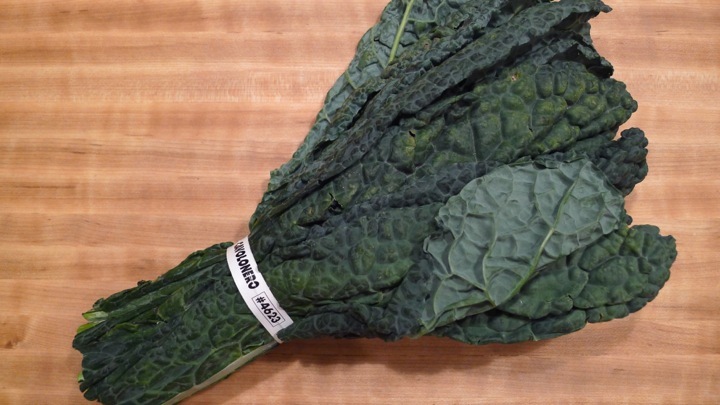 It is usually made with spinach, but I used kale instead this time. 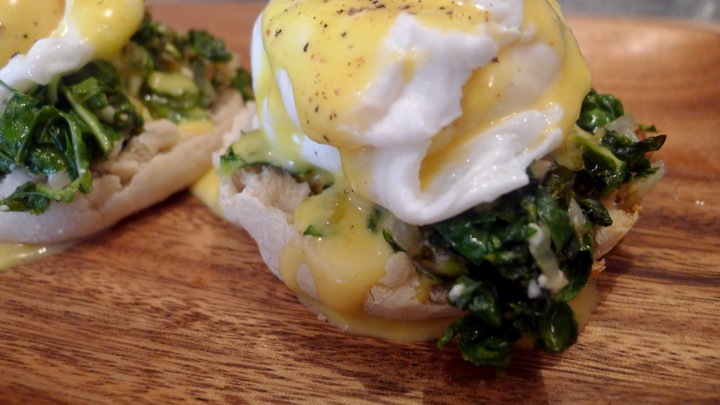 I made my own hollandaise (it’s easier than you think!) but a few places sell it pre-made, like Trader Joes. 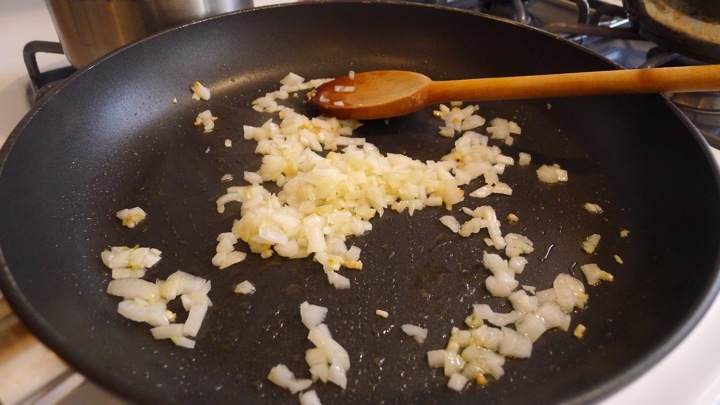 Heat some olive oil in a pan over medium heat and saute the garlic for a minute. 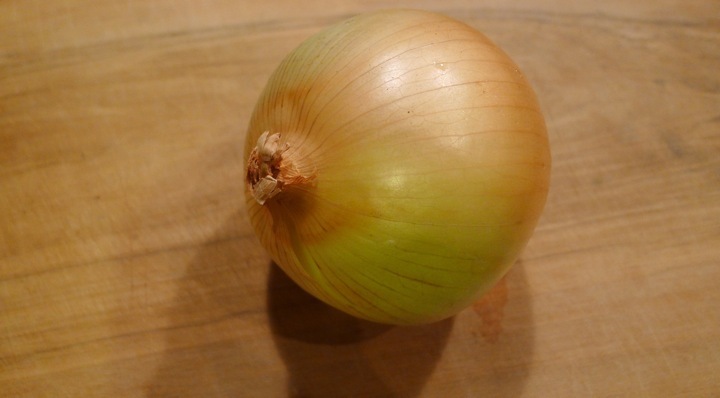 Add the onion and cook until translucent. Next add the kale and cook until it wilts down a bit, about 5 minutes. 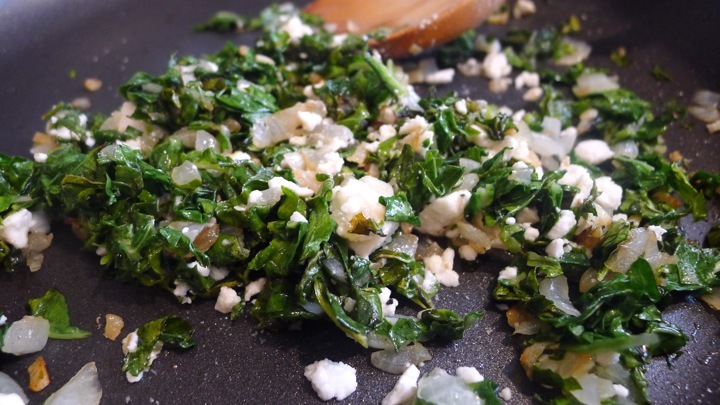 Add the feta cheese and salt and pepper to taste. Keep on low heat until ready to plate. 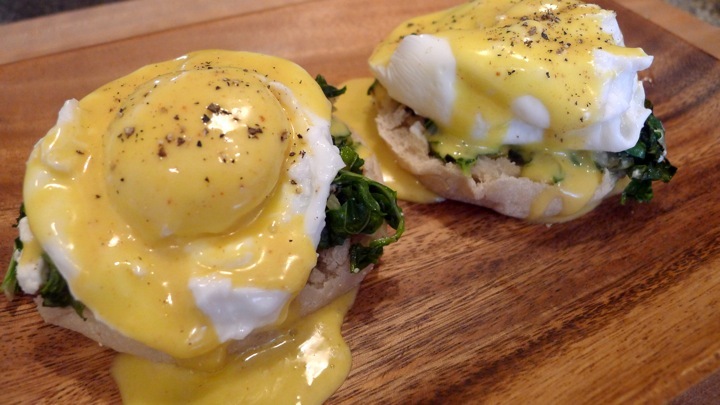 Next make the hollandaise! Add about two cups of water to a pot and bring to a simmer, keep on low. Melt the butter in the microwave and set aside. 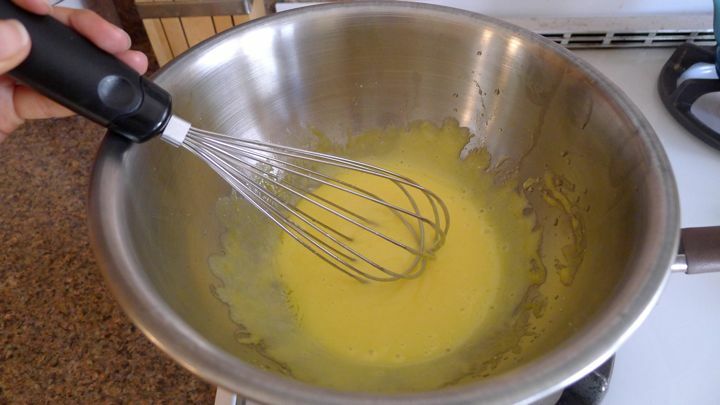 In a metal mixing bowl, add the egg yolks and lemon juice, whisking vigorously until it thickens and almost doubles in size. Next, place the metal bowl on top of the pot and turn off the heat. Immediately start whisking very fast, slowly pouring in a tablespoon or so of the melted butter. Don’t stop vigorously whisking the entire time! Add a little more butter and repeat until all the butter is added. Make sure to do just a little butter at a time. Set aside and whisk in a little black pepper, cayenne, and a few sprinkles of lemon juice. To poach the eggs, boil some water in a medium sized pot. Add about a teaspoon of apple cider vinegar (helps make them fluffy!) and pour the eggs in one at a time. Cook for about :30-:60 seconds before removing them with a slotted spoon. 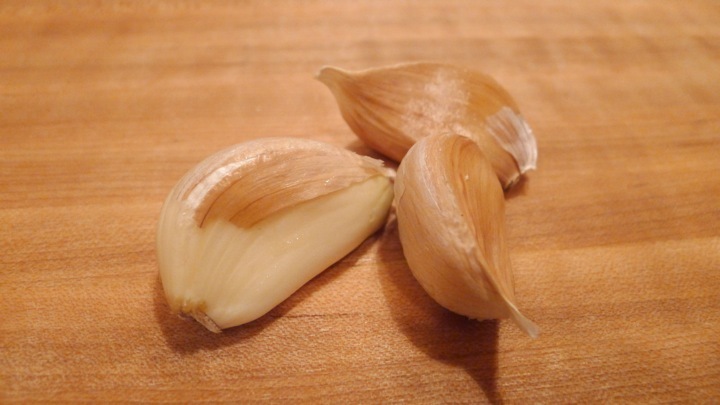 I usually lift them slightly out of the pot and gently poke the centers until it feels a little firm but runny in the center. 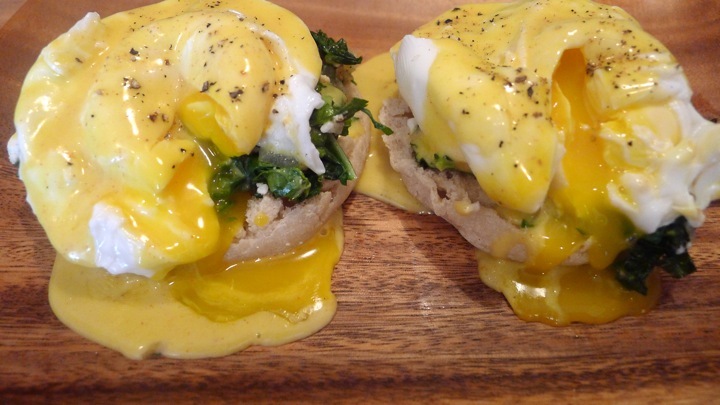 To plate, place some of the kale mixture on your toasted English muffin, then top with poached eggs and hollandaise!